Equally suitable for use in trendy coffee shops or your very own kitchen, Kegco's ICXCK-1B-1 Commercial Javarator is durable enough to withstand the abuse of retail environments yet is small and portable enough for convenient residential use. This iced coffee dispenser is ETL and ETL Sanitation Listed and NSF Compliant, meeting the requirements of widely accepted product safety standards for coffee keg dispensers. It is an excellent choice for any small business that wants to offer cold-brewed coffee on tap and is affordable enough to allow you to dispense iced coffee like the pros at home. 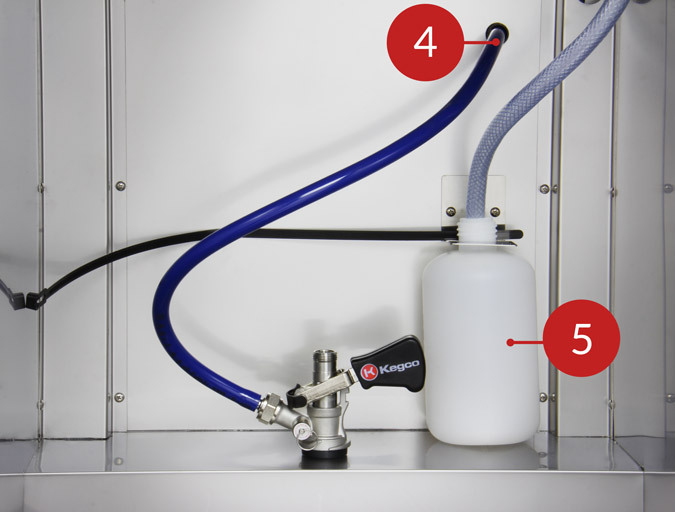 It even includes a complete keg dispense kit with everything you need to started! This iced coffee kegerator features a built-in drip tray and steel interior for fast clean-up, and can be easily moved thanks to 4" locking casters. 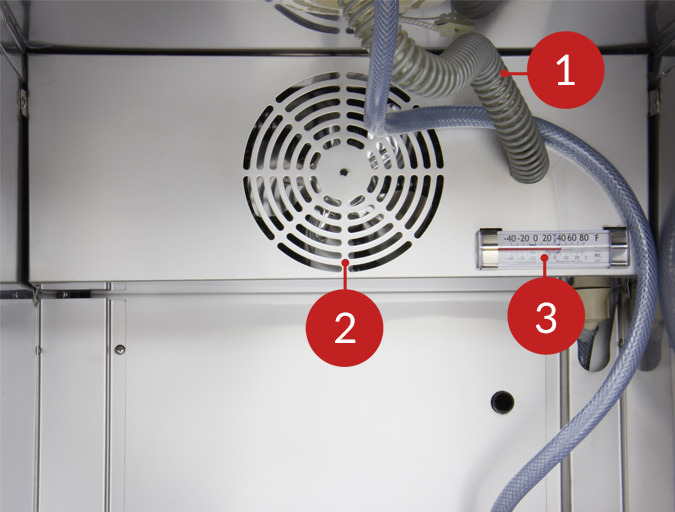 A 1/7 hp compressor provides superior cooling, and cold air is fan-forced into the draft tower to keep your coffee perfectly cool all the way up to the faucet. 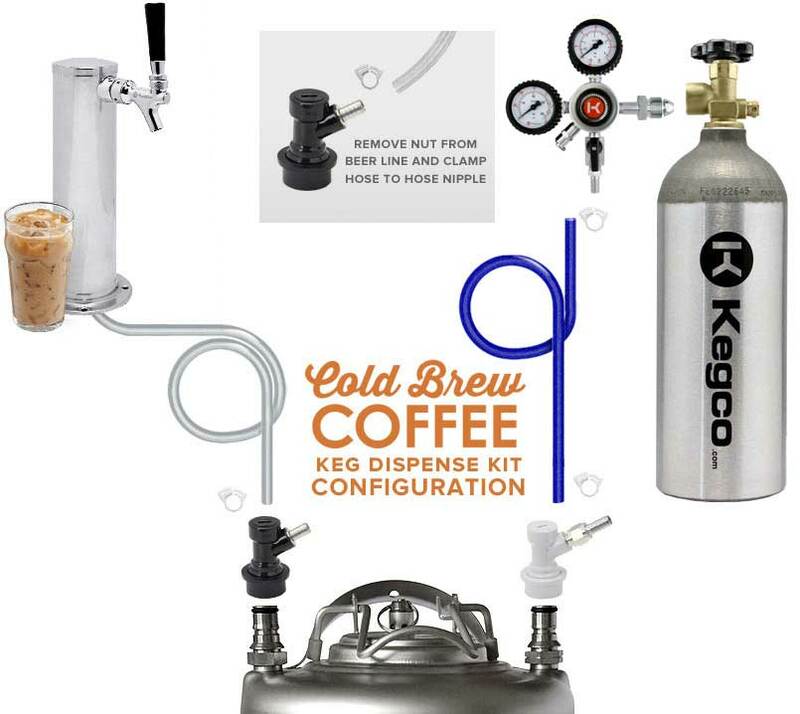 This cold-brew coffee dispenser comes with everything you need to tap a ball lock Cornelius keg, including a draft tower with a stainless steel faucet and fittings, a set of ball lock keg couplers for Cornelius home brew kegs, a dual gauge nitrogen regulator, and an aluminum nitrogen tank. One 22 cu. 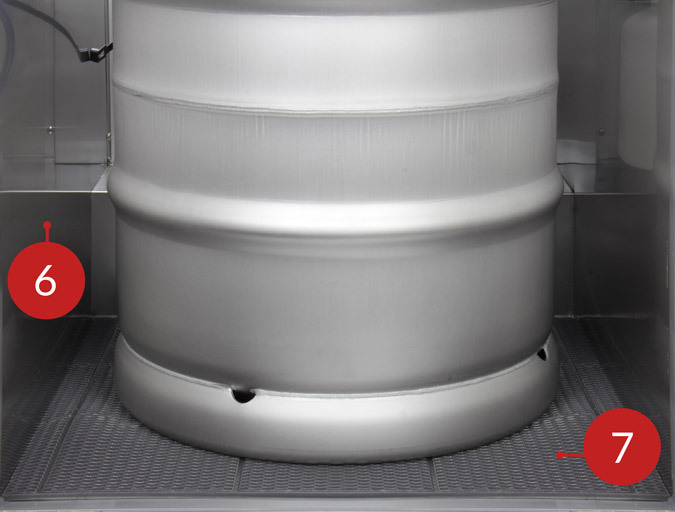 ft. tank can pressurize up to fourteen 5-gallon kegs before needing to be refilled. The faucet is made of durable and sanitary stainless steel, and the ball lock keg couplers are food grade plastic and are designed to prevent corrosion.